Our decision to attend InnoTrans 2016 (the world’s largest rail transport exhibition) was richly rewarded with continuous interest from technology integrators, service companies and industry leaders in the railway sector. Interested parties from every continent were impressed by the HiPER-D demonstration, especially the ability to harvest across a wide frequency range. Wired sensors needs cabling which adds cost and installation time, whereas battery life of battery powered sensors is unpredictable. Using HiPER-D can solve this problem. Majority of the freight wagons do not have a power supply or often have to use unreliable batteries to power sensors and tracking devices. HiPER-D solves this problem. Over all, our first InnoTrans trade fair was a great experience and we return with many new friends and possible partners to follow-up with. 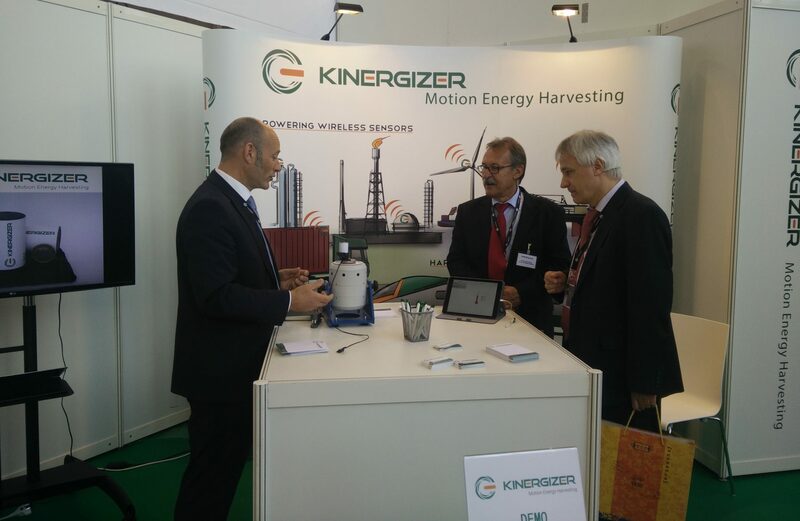 Thanks to everyone who visited us at InnoTrans!